Over the past 25 years, Scott Gauthier has become one of the most renowned and recognized high-end jewelry designers in the country. His unrivaled work favors a clean and modern aesthetic, accented with some of the world’s most precious and rare gemstones. Gauthier designs and molds each piece himself, creating distinctive works of art that reveal his contemporary vision. The purity of each design is inspired by nature, gemstones, architecture and his past creations. As influential as he is cutting-edge, Gauthier continues to reinvent himself, constantly developing new techniques and building off previous inspirations to gain new insight and direction. Gauthier’s way of viewing the world around him translates to strong and sophisticated forms; works of art that are timeless, creative, prolific and diverse. His signature designs are easily recognized by his trademark mix of geometric shapes and artistic balance. Gauthier refuses to mass-produce his pieces; rather he opts for a labor-intensive, handcrafted process where the craftsmanship is of the highest quality. All of Scott Gauthier’s designs are limited-edition or one-of-a-kind, so clients have the luxury of knowing their jewelry has been created exclusively for them. 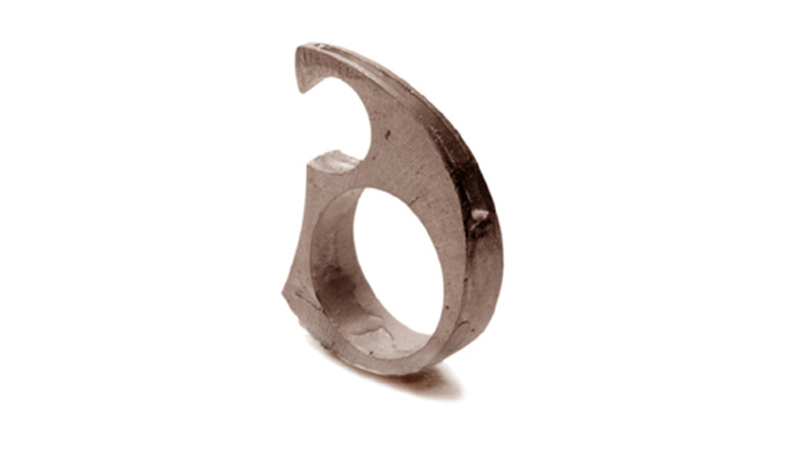 The design process that many jewelers have abandoned for mass-produced and machined pieces, Gauthier embraces. 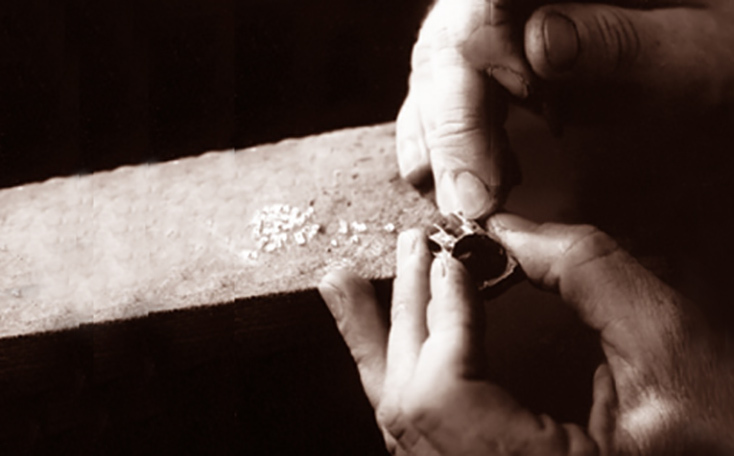 Each piece is designed and crafted by hand, a process that has been compared to Cartier and Tiffany, in their early years. The distinctive look of Gauthier has been described by many as captivating. The designs themselves have dimension, direction and a sense of purpose. Each piece has a story to tell. With some, the story is readily apparent, but in most cases, the tale evolves as one gets to know the creation. Hidden pearls that can only be seen from certain angles, diamonds set backwards so only the pavilion of the stone is visible and gemstones set in tubes to mask the hinging mechanism, are just a few examples of the creativity and ingenuity that tell the tale of Gauthier. 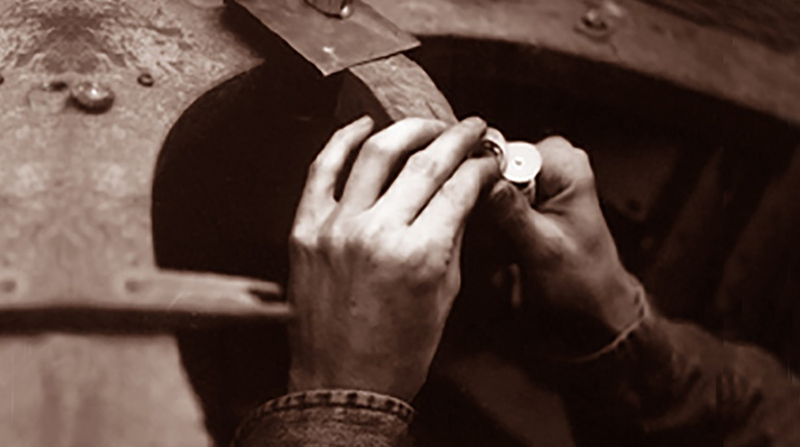 Scott Gauthier’s attention to detail and labor-intensive process results in exquisite handmade jewelry that is both distinctive and exclusive. Gauthier creates new pieces everyday, creatings hundreds of unique designs every year. Each piece is either exclusive or one of a handful in existence. People come from all over the world to see the stunning designs found in his galleries in Scottsdale, Arizona. Not one piece of jewelry leaves the studio without the Gauthier signature trademark – a small sapphire hidden somewhere on each piece. Please come by and view our fantastic collection. If you need any assistance, do not hesitate to contact us at any time.